During May’s Military Appreciation Month and Asian American and Pacific Islander Heritage Month I want to remember the history of our brave Asian American military members. Did you know May was chosen as Asian American and Pacific Islander Heritage Month because it marks the anniversary of the completion of the transcontinental railroad (of which many workers were Chinese immigrants)? California is also home to approximately two million Veterans. May is also Military Appreciation Month and the month we honor the fallen during Memorial Day. There are 18 Asian Americans and Pacific Islanders in the 115th Congress; an all-time record while California has 13 in the Legislature, with three in elected constitutional offices (one of which serves with me on the elected Board of Equalization). We also have a number of veterans or active military members serving in the U.S. and California Legislative branches (118 in Congress and 8 in the Legislature), bringing their experience to the legislative process. 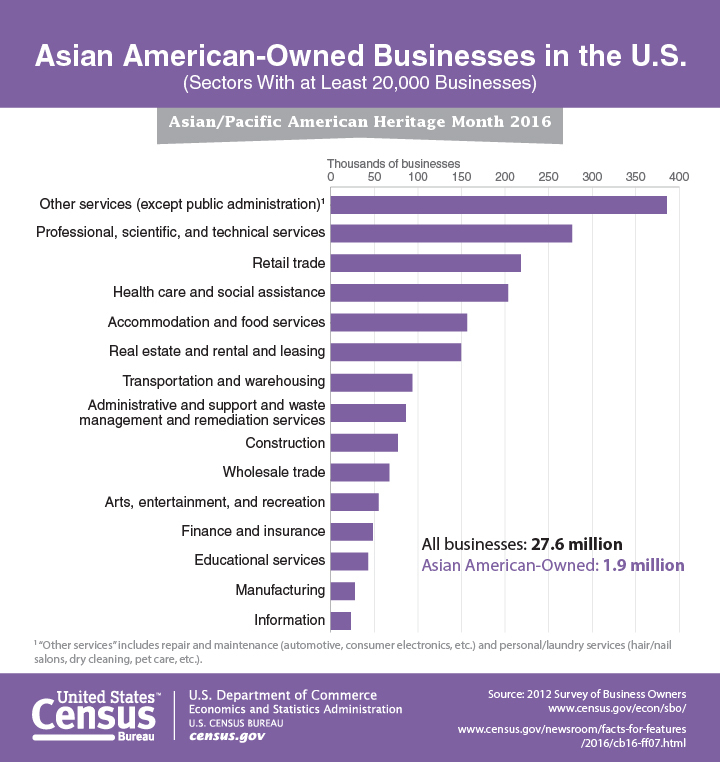 In 2016, the U.S. Census Bureau reported Asian American-owned businesses nearly reached the 2 million mark, out of 27.6 million nationwide. According to the latest U.S. Census data, California has the largest Asian American and Pacific Islander population, with nearly seven million people (about 15% according to the 2015 Census), identifying as Asian American or Pacific Islander. Asian Americans continue to be strongly integrated in California culture and account for about one-third of the nation’s Asian American and Pacific Islander community. As an Asian American, I have always been fascinated by our history. The Asian American and Pacific Islander group is diverse – consisting of heritage from an array of backgrounds: From Chinese, Japanese, Vietnamese, Korean, Filipino, Indian, and more. It has many languages, cultures, and a wealth of history. But Asian American history is sometimes not well known. When I served in the California Assembly, I authored AB 199 to encourage instruction in social science for grades 7 to 12 to include the role of Filipino veterans in World War II. I’ve had the honor to meet many veterans and hear their stories, and during May’s Military Appreciation Month and Asian American and Pacific Islander Heritage Month I want to remember the history of our brave Asian American military members. This year marked the 75th Anniversary of the Bataan Death March. Almost every American knows that just after sunrise on the morning of December 7, 1941, World War II reached the U.S. However, what many may not know is that shortly after Pearl Harbor, the first bombs fell on Manila. Within a few hours, the Japanese completely dominated the skies over the Philippines. Exactly one week after Pearl Harbor, tens of thousands of Filipino and American soldiers had been cut off from their supplies and reinforcements. Four days after their main invasion force landed, General MacArthur ordered his troops to fall back to Bataan and establish a defensive line. By mid-January, 1942, the Japanese had virtually unchecked control of the entire Pacific North of Australia—all except the Bataan Peninsula, where 75,000 Filipino Commonwealth and American Army soldiers were reduced to eating half-rations. And yet, the Filipino and American soldiers refused to quit. Outgunned and out supplied, the defending troops were pushed slowly and steadily back. But they made the attackers pay for every single inch. On April 3rd, the final Japanese attack began. On April 9th, with no reserve troops, food, or ammunition remaining the Filipino and American soldiers surrendered. However, five months of vicious and desperate fighting was only the beginning of the nightmare. Now known as the Bataan Death March, Japanese soldiers forced the captive Filipino and American soldiers to march to Balanga, the capital of Bataan. The troops were eventually transported further inland through a combination of forced marches and trains. Hundreds of soldiers would be packed into unventilated box cars for days at a time. The searing heat and close quarters ensured that hundreds would die on the trains. Their ultimate destination was Camp O’Donnell. Conditions in the camp were barely improved over those of the march, and hundreds of prisoners continued to die daily. Bodies were buried in mass graves dug behind the barbed wire fence of the camp. All totaled, more than 20,000 Filipino and American soldiers would die after surrendering to the Japanese. We need to remember these stories. We need to remember what these soldiers fought for and remember the injustices survived by so many. This history, our history, highlights the courage, valor and sacrifice of soldiers and civilians who gave up what Abraham Lincoln so beautifully called “their last full measure of devotion”.